A new housing lottery has launched in the Upper West Side offering 269 units to low-income renters who qualify. The Waterline Square housing lottery is spread across three buildings at 675 West 59th St., 400 West 61st St. and 645 West 59th St. Rents start at $1,041 per month for studios and go up to $1,553 for 3-bedrooms, varying with income and family size. Interested renters should apply through NYC Housing Connect before the deadline of Dec 6, 2018. To apply for one of the 269 available units, you must meet the household income requirements. These are set at 60 percent of the area median income (AMI) or, in other words, between $37,578 and $72,600 annually, depending on family size. There are other criteria that may influence the selection process. Current municipal employees and applicants with disabilities impacting their audio, visual or mobile facilities receive special preference. Residents who are currently living in Manhattan Community Board 7 also receive preference. This modern waterfront complex consists of three stunning buildings designed by Kohn Pedersen Fox Associates, Richard Meier & Partners Architects and Rafael Viñoly. Aside from breathtaking views, the amenities are pretty swanky too. Waterline Square features its own landscaped park, an indoor pool and spa, 30-foot rock climbing wall and a bowling alley among other perks. As an added bonus, Cipriani will make Waterline Square its first all in one restaurant, market, food hall and bar location. 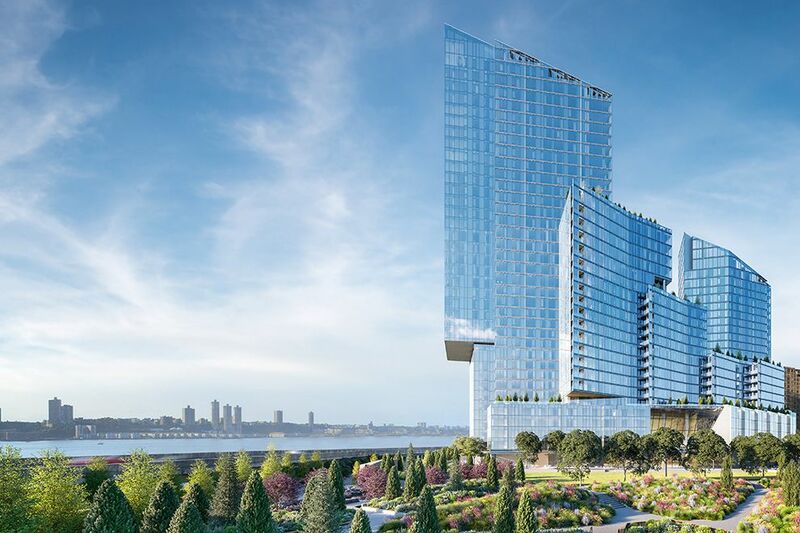 Located on the cusp of Midtown and the Upper West Side, residents of this complex will have easy access to Hudson River Park, Riverside Park South and Central Park. Columbus Circle station is the closest transit hub, with access to the A,B,C,D,1 and 2 trains. The deadline to apply is December 6, 2018.